Product DetailsAs one of the fastest-growing sports in the world, it was only a matter of time before UFC made the jump to Pop! status. 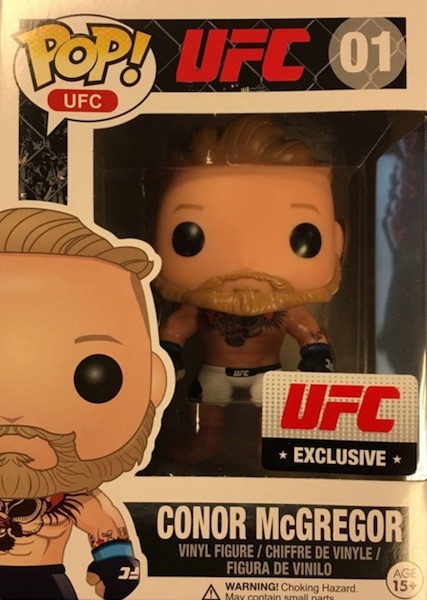 Although the initial Funko Pop UFC debut came as a limited-edition figure for brash star Conor McGregor, a growing vinyl line is available for some of the top MMA names in the Ultimate Fighting Championship. 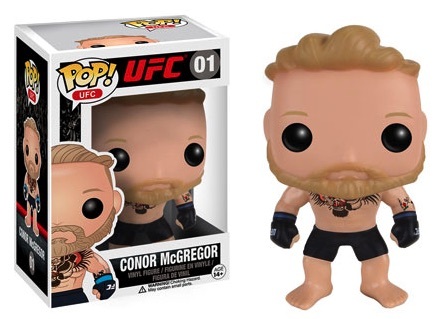 Funko Pop UFC Series 1 features six figures in the main offering. 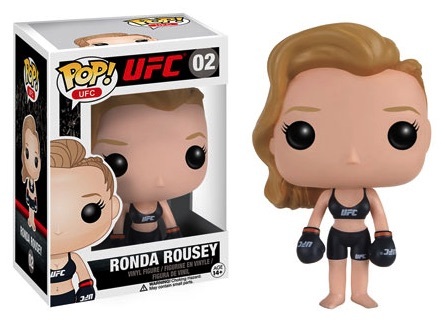 Conor McGregor and Ronda Rousey lead things off with typical Pop! 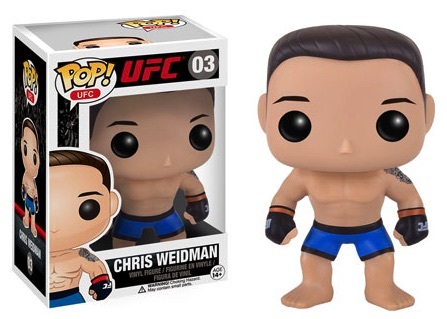 style and are joined by other key fighters such as former titleholders Chris Weidman, Jose Aldo, Anderson Silva and B.J. Penn. 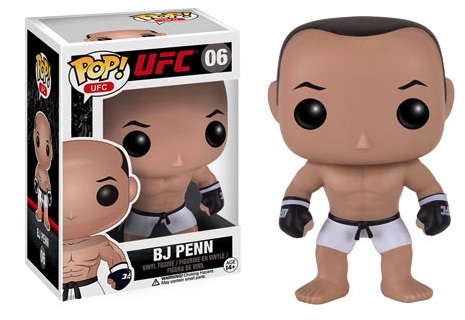 Buy Pop UFC figures on Amazon. 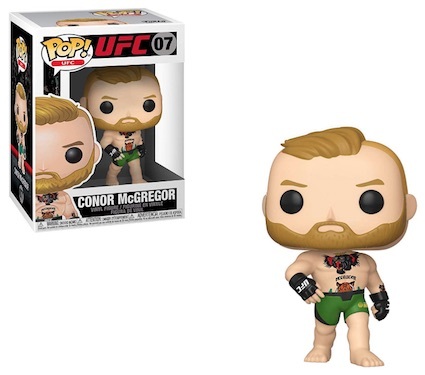 While the mainstream versions came well after, the earliest figure was a variant for McGregor and exclusive to UFC events. 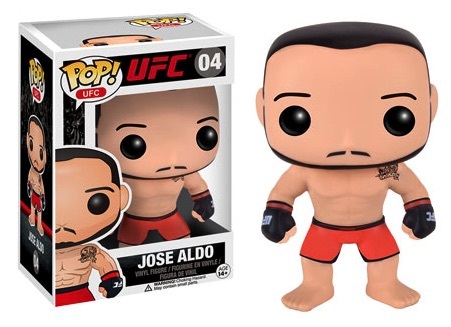 Still selling quite well, it was first available at UFC 194 where McGregor beat Jose Aldo for the title. 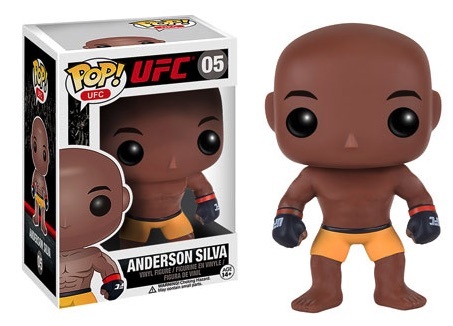 These variants can be easily distinguished from the base figure given the sticker on the box and white trunks. 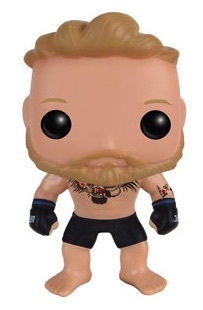 The base figure for McGregor includes black trunks. 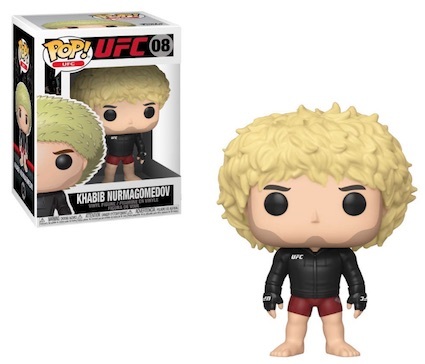 Funko Pop UFC Series 2 features another McGregor option, plus vinyl debuts for Khabib Nurmagomedov and Georges St-Pierre. 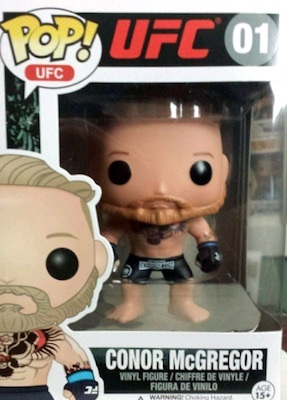 UFC crossovers Brock Lesnar and CM Punk also have Pop! 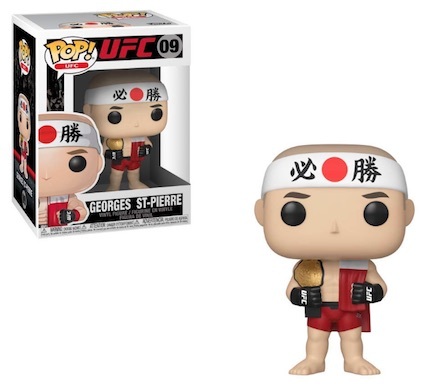 figures, but they are part of the Funko Pop WWE line.